man, where are all the mixes? we want the 2 last VoT links !! Where can i get the Downloads for this mix? Still not available due to lack of time on GT and PC side. We're all waiting for it! I can host these files, if needed... Let, me know! Sounds very good GT & PC! A bit progressive, but very nice transitions... Keep up the superb work! ok, so it took a few months but the links are finally up! awesome well worth the wait. Edit: Spot the dope!!!! I'll try looking in the 2008 next time. d'oh!!!! Good sets. Reddick's mix is really great. Thanks GT. Jeepers creepers, am I in paradise??? I found this music project by chance on the web somewhere and was immediately hooked! Hook, line and sinker. Fell like a brick. 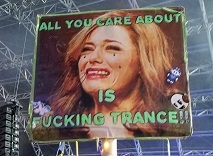 I'd heard of Trance but never heard it really. Now having heard of Vocal Trance I hear it, hear it, hear it. Now for my question, does anyone know who does the fantastic vocals in Above & Beyond - Good for Me (Above & Beyond Club Mix), Cameron Rapter. Da Rapter perhaps? Isn't Good for Me done by Zoe Johnston? I think it's the same vocalist that did No One On Earth with Above and Beyond a few years back. Thanks! Spot on. Found her and the song on the net. Please GT make a MIX with the music Global Experience - Madras.